An understanding of Easter from inside the Armenian Orthodox tradition that is at once mystical and literally down to earth. Vigen Guroian is a theologian who experiences Easter as a call to our senses. He is passionate about the meaning of grand ideas like incarnation, death, and eternity as revealed in life and in his garden. Vigen Guroian is professor of religious studies in Orthodox Christianity at the University of Virginia. 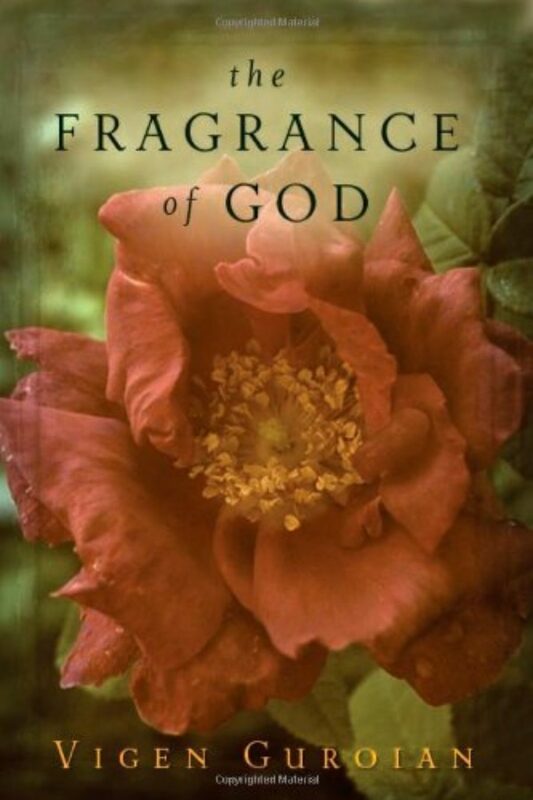 His books include The Fragrance of God and Inheriting Paradise. KRISTA TIPPETT, HOST: Vigen Guroian is an Armenian Orthodox theologian who experiences Easter as a call to our senses. He is passionate about the meaning of grand ideas like incarnation, death, and eternity as revealed in life and in his garden. A professor of religious studies at the University of Virginia, he also tends a large perennial and vegetable garden at his home in central Virginia. This hour, we take in the religious discoveries he makes there. MR. VIGEN GUROIAN: Look, when I get into the garden in the spring, and I’m getting ready for it here, it comes pretty early in central Virginia — what am I doing during Lent, in particular? I’m digging out weeds that have died. I’m cleaning out the garden. It’s a messy business and it’s not terribly pleasant. But in the task of very doing it, my senses are being brought alive. I’m attuning my body. I’m cleansing my soul. I’m making myself ready to receive the gift. I’m Krista Tippett. This is On Being — from APM, American Public Media. Differences over calculating the date of Easter were among the disputes that led to the 11th-century schism between the ancient church centers of Constantinople and Rome. But there are many elemental differences between the Orthodox spiritual sensibility and that which spread throughout the West from Rome. The Romans built roads, one adage goes, while the Greeks built metaphysical systems. Eastern Orthodox theology is experiential, sacramental. 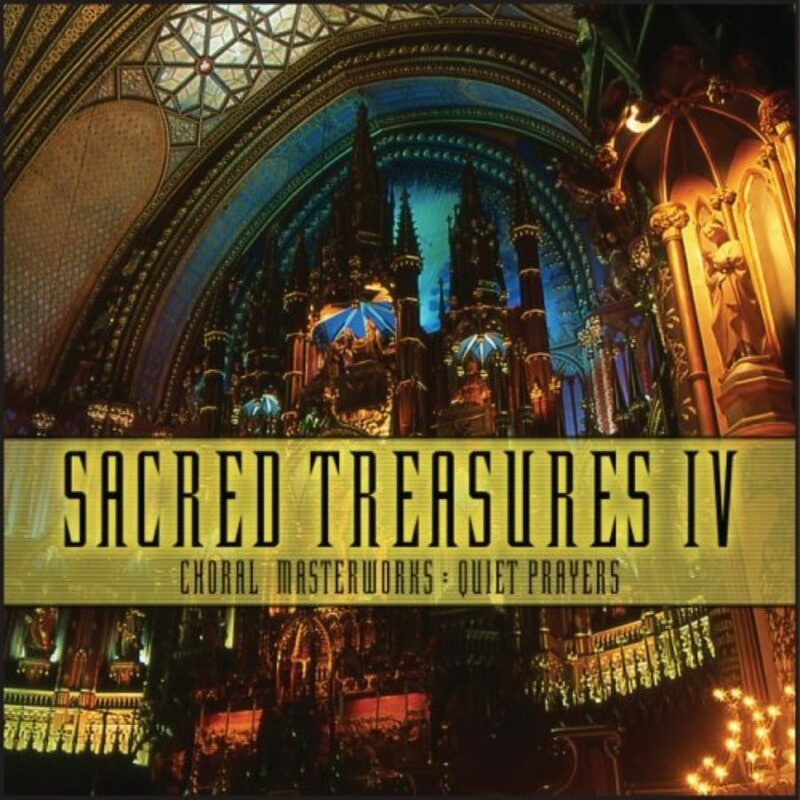 Its liturgies engage all the senses with incense, icons, and lush hymnody. Ancient rituals are understood in themselves to convey biblical truths and transcendent realities. Vigen Guroian’s Armenian Orthodox tradition is one of the most ancient traditions in this Orthodox realm of 300 million Christians in the world today. In common with many Western Christians, they observe the penitential season of Lent; and in the Holy Week preceding Easter, they commemorate the biblical events leading to the crucifixion and resurrection of Jesus Christ. But when I spoke with Vigen Guroian in 2007, he began to explain how his tradition also understands these events mystically. The Bible refers to Jesus ushering in a “new creation.” And Armenian Orthodox worship ritually places Easter in the great cosmic drama from the creation of the world to eternity and back again. MR. GUROIAN: In my own tradition, for example, the first Sunday would be in observance of the beginnings, creation. And in a sense, through the whole of Lent, you recapitulate the story of creation, fall, and redemption. These are circles inside of circles, repetitions inside of repetitions. For example, in the Armenian liturgical calendar, there is a kind of eight-day cycle. MS. TIPPETT: And what does that mean? I mean, is that a state of mind? It’s a way you move through time differently? MS. TIPPETT: … out of that liturgy. MS. TIPPETT: And this is so foreign, right, to the way Christianity has infused American culture? It’s a different way of being Christian. MR. GUROIAN: And then God says, “This is beautiful.” That’s the response. MR. GUROIAN: So in a sense, God is singing creation into existence. I think C.S. Lewis caught this, had his own deep sense of this when he wrote The Magician’s Nephew, in which Aslan, the great lion, the great god lion, sings the creation of Narnia, brings Narnia into existence in hymn, in song. It just seems to me that that way of understanding creation is different. MR. GUROIAN: It means that — that the song never ends. And words have been added to the song, but it’s still the song. And think about throughout the Old Testament, from Genesis through the Prophets, the creation itself is, is really depicted as a great temple in which worship is to be done. God sets the foundations. God stretches the heavens as a canopy. And we’re here to make the song of creation, the liturgy of creation, and new creation manifest, visible, audible in the world. MS. TIPPETT: I’d like for you to talk to me about, you know, some of these huge ideas that, in fact, happen for you in worship. MR. GUROIAN: Well, if you begin to look at the Orthodox liturgies, the hymns and prayers correlate with the images that are in the church, the iconography that’s in the church. And I must say that in my own tradition, the iconography can be rather sparse. We don’t have an iconostasis in the Armenian Church, the way the Byzantines, the Greeks, the Russians, the Romanians, et cetera do, at the front of the altar. MS. TIPPETT: And translate that for someone who hasn’t heard of iconostasis. MR. GUROIAN: In most of Orthodoxy, you would have a screen or a wall that stands in front of the altar, which is in the back of that screen. And you can see through, through a door. Sometimes, you can see through. It’s partly transparent. It depends on the way this has been built. But you have an image of Christ. You’re going to have to have an image of the Holy Mother of God, John the Baptist, an image of the saint whose name is given to this church. You’re going to have to have other saints, even scenes from the Bible. We don’t have a resurrection icon where Jesus is emerging from the tomb, sort of flying in the air because there’s no description of that scripturally. What we have are two icons. One is the icon of Christ’s descent into Hades or hell, bringing Adam and Eve and all of the saints out of Sheol, out of the realm of the dead, into the new heaven on Saturday. And we have an image of the empty tomb with the visitation of the women coming with the myrrh or the oil on Easter Sunday morning. Now, that’s, if it’s Easter, there is going to be a focus and attention upon those icons within the church. 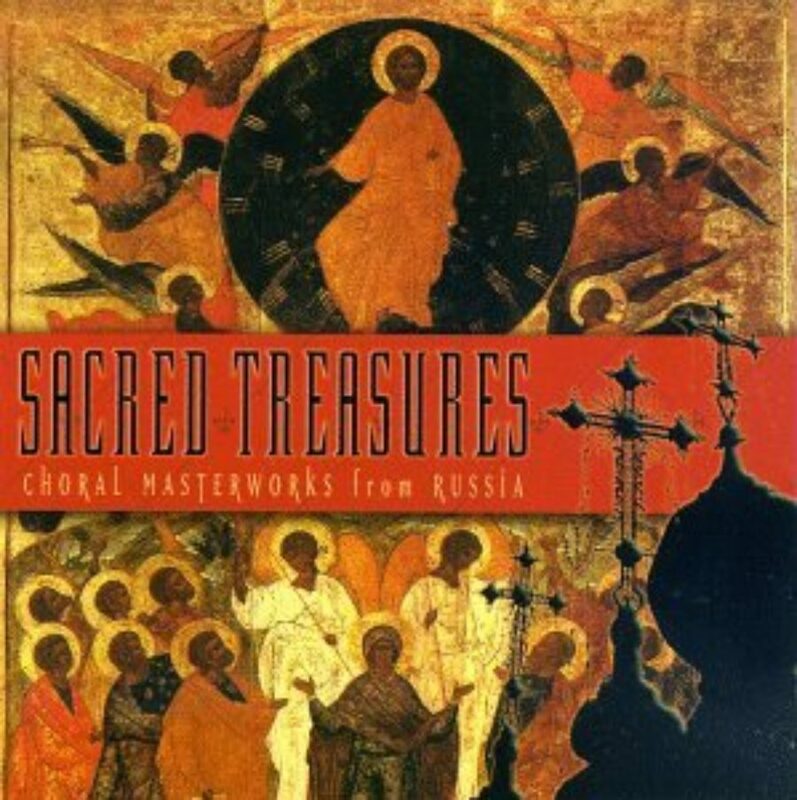 And they may be at the very front of the church, on the iconostasis, the screen or wall. Or they may be in other locations, in the ceiling, on the sides of this church. MS. TIPPETT: So talk to me about why, for you, those icons are important, what they do. MR. GUROIAN: Human beings are not simply oriented by one sense or two senses. They’re, they’re oriented by several senses. And so in order for the human being to be wholly engaged, all of those senses ought to be at work. One of the jobs of a Christian is to, in point of fact, hone the senses, reform the senses, make them holy. And that process can take place within a church, certainly, where everything is focused on God. So that the incense appeals to the sense of smell. The whole body is involved, the kneeling, the prostration on the ground, on the floor, the images that one sees, the songs that one hears. And that engages the whole human being. Well, that’s consistent with the Christian belief in the bodily resurrection, the whole self, not just some disincarnate soul. MS. TIPPETT: Something I’ve always been intrigued by, though, in my conversations with Orthodox Christians, is how this attunement to, to the senses is also very earthy, also has a very earthy side. It’s not all just about gorgeous images in worship. And, you know, I just, I wanted to read this passage that you quoted in your book Incarnate Love, which, of course, is a central theme of the Easter story. And, you know, the example you used of talking about this is, is how it was articulated in, by Dostoevsky’s Ivan Karamazov, right? MR. GUROIAN: Yes. And of course, the irony, which is so often a device used by Dostoevsky, is that the principal atheist who’s rebelling against God in the novel is articulating precisely what the Christian experience is or ought to be. So there’s an irony there. And the question is, how much Ivan actually believes that. But, but yes. Absolutely. He is speaking a truth there. I believe he’s also glossing a poem by Schiller there, the sticky little leaves. But unquestionably, there are several levels to that speech by Ivan. But, but one level, certainly, is Dostoevsky is presenting us with an image of religious experience, which is Orthodox — or Russian. He would say Russian. MS. TIPPETT: You would say Orthodox? 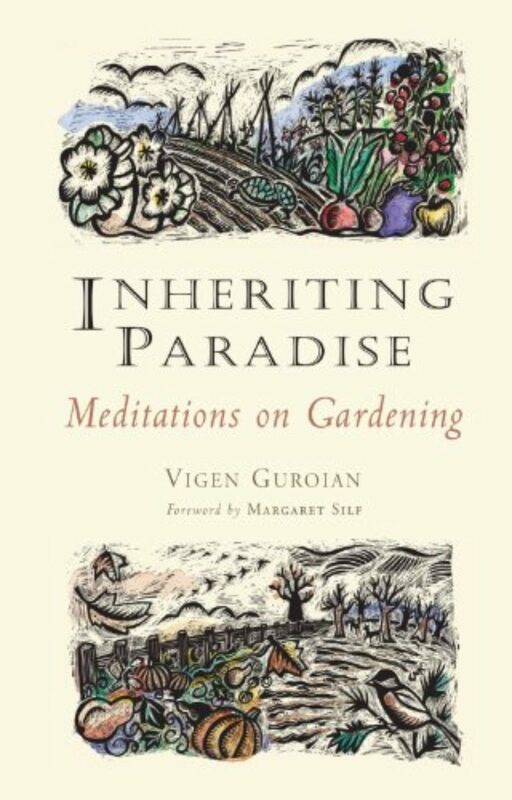 Vigen Guroian’s books on theology and ethics include two volumes of spiritual reflection by way of gardening: The Fragrance of God and Inheriting Paradise. He points out that Eastern Orthodoxy never adopted the doctrinal emphasis of Western Christian theology. East and West have always given different interpretations to important facets of Christian thought, including the Easter story, just as the Bible itself contains varied metaphors for explaining the Easter events. One that has been especially dominant in Western Christianity is the notion that Christ paid the price for the original sin of Adam. 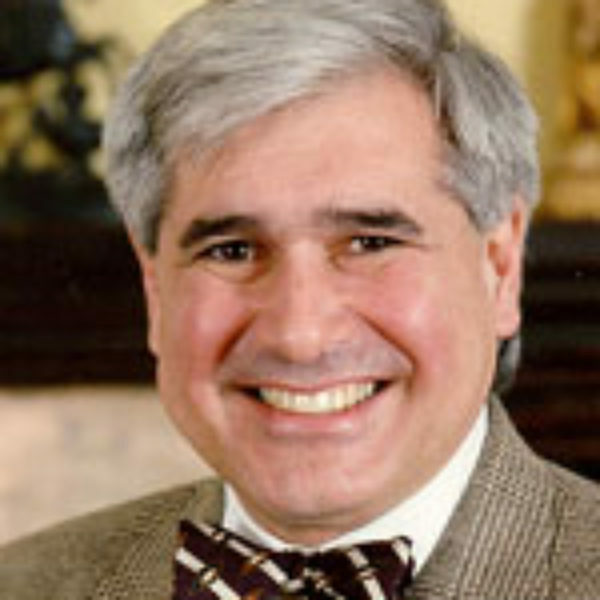 Words like “ransom” and “debt” characterize what Vigen Guroian calls a “legalistic” interpretation, focused heavily on the sacrificial aspect of the Crucifixion. Orthodox worship opens him to other possibilities as well. MR. GUROIAN: Now, in the East, there’s less attempt to sort these metaphors out, particularly because the hymns dominate so much. And within hymn, within hymnography, within prayers, within poetry, you can get away with a variety of metaphors. 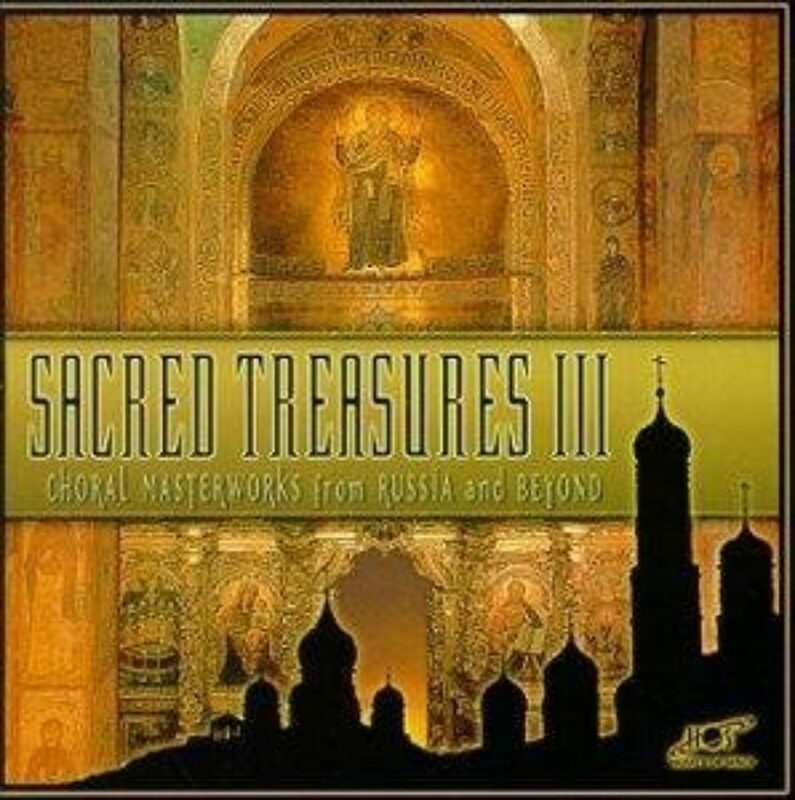 In a point of fact, they enrich the poetry or the hymns. So I think that’s one way of accounting for the fact that the Orthodox have not tried to separate out these metaphors. Well, anyway, there is a, a metaphor in the East, which I think is more at the center of the Orthodox understanding of what happens. That it’s a physical interpretation. That Christ assumes our whole humanity, our whole human nature and restores it to a state in which it can grow into holiness without obstruction. And in fact, he makes it holy himself by the kind of life he lives and by the death that he dies, and his resurrection again after three days. The East does not regard Adam and Eve as perfect in the Garden. MR. GUROIAN: But potentially perfect. And they can therefore grow into perfection as God has intended them to. So we’re back to that potentiality. We have that potentiality, again, in Christ. We’ve been healed. Our wounded body has been healed. Our senses have been restored to be in tune with and in harmony with God’s purposes. MS. TIPPETT: I would like to talk about your garden, because it seems to me that in the writing you’ve done about gardening — that is a place where many of these themes, if you will, become three-dimensional, you know, take on flesh. MR. GUROIAN: Yes. Yeah. It’s my favorite writing. MS. TIPPETT: It’s your favorite writing. MR. GUROIAN: Oh, of course, it is. MS. TIPPETT: And it’s a beautiful writing. It’s wonderful writing. Let’s start talking about what you do in your garden, what you learn from your garden, the insights that come to you there that also, again, illustrate, and kind of bring down to Earth some of this theology. MS. TIPPETT: It’s a huge question. MS. TIPPETT: Where, you know, where would you start? MR. GUROIAN: Well, I would start by saying, and this, among some Christian communities, would not only sound strange, but perhaps heretical, but it certainly belongs to the imagination of the early church, and my own church, is that they are in a sense two scriptures. There is the written scripture, and that’s at the very heart of the church. But there’s also the imprint of God on his creation. And the fact that were not God constantly willing his creation, loving his creation into existence, it would disappear. In a real sense, creation is this: It is the will, the love, the imagination of God taking on existence and form. If God stops willing, God stops loving, we disappear, in my view. We’re on that, we’re on the head of a pin in that sense, and creation — the creative act of God, if you like, never, never ends. It is constant. We live inside of God’s own eternity, though we count the days. MS. TIPPETT: And it seems to me that when you are in your garden, you, you feel yourself inside. MS. TIPPETT: Both eternity and, and, and temporal existence. MR. GUROIAN: It wasn’t long ago that my — my son has recently gotten married to a young woman from Armenia. Remarkable. Here he is third, fourth generation — whatever you want to call it, marrying someone right from Armenia that, they met on armeniansingles.com or whatever it’s called. MR. GUROIAN: Yes, while she was here studying, and a two-year romance over — across oceans and great continents. But they were leaving one evening from our home in Culpeper, and we live still in the country, so that there aren’t too many lights. And they looked up at the sky, and they live in Baltimore, right inside of Baltimore City. And she commented, “My word, you can see the stars. You can see the heavens, out here.” And we’re all just staring up at that canopy up there, you know? People don’t look up anymore. They don’t have time. They sit in cars, you can’t see up. MR. GUROIAN: Unless you have your top down. That’s why I have a jeep, so I can do that at least nine months, seven or eight months out of the year. Taking in the whole of it, permitting one’s self to exercise one’s senses again. MR. GUROIAN: Well, we drive on a highway. But, what is it? We’re on a conveyer belt, and we’re not allowed to see much either. It gets even worse now because they put up these walls so that the sound doesn’t get from the highway to people’s homes. So what do we see? I mean that might be a metaphor of a modern life. Well, certainly that second scripture I’m talking about has been shut out from us. Though, we’ve shut it out in ways that gardening opens up. I’m grateful that I can garden. Now, in one of the pieces in The Fragrance of God, called the “The Temple Transparent,” and I think I’ve, I worked those metaphors up in just the way that I was explaining earlier on about the Old Testament, sort of presenting the whole creation as a temple that God has set up for us. MS. TIPPETT: Right, and that you really experienced it that way, your garden that way. MR. GUROIAN: I really experienced it. MR. GUROIAN: Walking down that path, which I call my Wordsworthian walk, down toward Hungry Run, the stream down at the bottom of my property, and just the bluest sky in December, and being able to see the trees reminding me of gothic, you know, the gothic arches. I felt as if I was in a great cathedral for a moment there. And, look, the images play in our minds and in our imaginations. If we don’t have certain images, we’re not going to see things that way. I mean if, if I wasn’t reading the text, if I wasn’t immersed in scripture as well, I wouldn’t experience it that way. Nature and scripture interpret one another. MR. GUROIAN: They are a diptych. MS. KATE MOOS: [reading] “In spring, I cultivate the perennial bed with the magenta petals and sweet citrus fragrance of the rugosa rose in mind. In excitement, I wait also for the green bouquet of the broccoli plant and the calm, clean scent of the cucumber. “This was not always so. In the beginning, in my first garden in Richmond, Virginia, I farmed for food on the table. But in Charlottesville, Virginia, in Eldersburg and Reisterstown, Maryland, and last, here in Culpeper, the garden has finally reformed my disposition toward it. It has entirely transfigured my vision of life. “… For the sake of beauty, I gladly leave the ruffled red cabbage to grow long beyond its time for harvest. I let the mustard reach high with bright yellow bouquets. I cultivate carefully the asparagus row not just for the taste of its buttery spears but also for the verdant fern foliage that shoots up after the spring cutting. I let volunteer sunflower, cosmos, and cleome seedlings grow where they choose. And I sneak orange nasturtiums into the hills of sweet-potato vines. MS. TIPPETT: At onbeing.org, you can hear and read extended passages from The Fragrance of God and other writings by Vigen Guroian, including more on the spirituality of gardening. Also, view images of the rich iconography and rituals of the Eastern Orthodox Church. 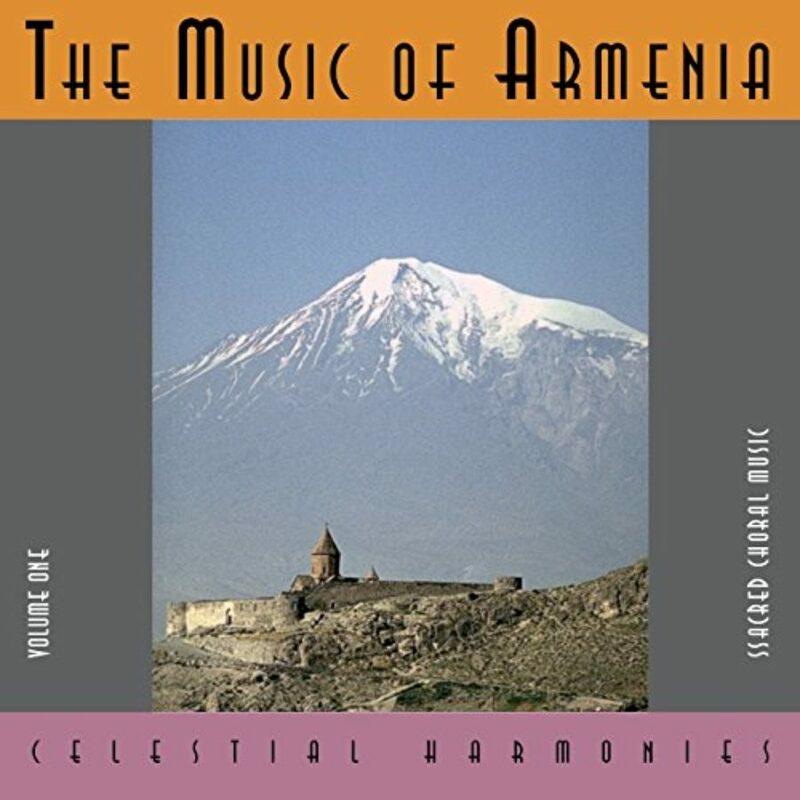 Listen to the lush choral music of Russia and Armenia featured in this program through our playlist, and download free MP3s of my complete unedited conversation with Vigen Guroian and this radio program through our weekly email newsletter and podcast. Look for all these links on our home page, onbeing.org. Coming up, more of Vigen Guroian on why smell, not sight, is the most mystical sense. Also, his understanding of why gardens can evoke large themes of life, history, and religion. MR. GUROIAN: If I remember the church, I also remember the gardens of my great-aunts and uncles, and of people I called uncle or aunt, they were Armenian, whose homes they visited. And in every case, they wanted to show you the garden. That was obligatory. The garden was a place where things came to life. It was, in point of fact, a reaffirmation of life and something to sustain faith, hope, and to go on living. MS. TIPPETT: I’m Krista Tippett. This program comes to you from APM, American Public Media. My guest, Vigen Guroian, is describing his experience of Easter as a theologian and a gardener. He’s Armenian Orthodox, one of the most ancient branches of the Eastern Orthodox traditions that include 300 million Christians worldwide. The Armenian people were persecuted and exiled under the Ottoman Empire. And during World War I, they became victims of what some call the first genocide of the 20th century. There is an intensity to Vigen Guroian that seems to come in part from his experience of his people’s historic tragedy that he carries, as he says, in his bones. This mingles with the passion for beauty and transcendence that defines his life of faith. He’s also been a gardener for most of his life. During the Lenten season of 2001, he moved from Maryland to five acres in Virginia, taking many of his perennials with him. MS. TIPPETT: … because they live more practically with their sense of smell, don’t they? MR. GUROIAN: Yes, absolutely. So there it is. I mean, I’m walking in my garden and all of a sudden, overnight, something has bloomed, maybe the honeysuckle, no maybe the rugosa roses or maybe it’s just the cabbage in the vegetable garden. And it surprises me. And I don’t even see it, but I know it’s present. I feel its presence. No, I smell its presence. I’m aware of it. Well, for many of us that’s an experience like that of experiencing God in prayer. MR. GUROIAN: Mm-hmm. Yeah, Adam and Eve in the Gardens, their senses were fresh not adulterated. That’s the way I read pre-fallen human existence, shall we say, is existence in the garden in paradise. MS. TIPPETT: And I think it is so interesting that you experience yourself there in your garden. I mean, this metaphor or this story of paradise and of — well, you know, you titled your first book about your garden Inheriting Paradise. MS. TIPPETT: But in your garden, that whole story becomes real to you. MR. GUROIAN: Yes. Well, look, when I get into the garden in the spring and I’m getting ready for it — here it comes, this comes pretty early in central Virginia — well, what am I doing during Lent in particular? I’m digging out weeds that have died; I’m cleaning out the garden. It’s a messy business and it’s not terribly pleasant. But what is the reward for that, you know. The sacrifice is more than worth it. And in the process of doing this task, which one would rather avoid in certain days in particular when the weather isn’t so great perhaps, and the task of very doing it, my senses are being brought alive. MR. GUROIAN: And that means that I’m tuning my body, I’m cleansing my soul, I’m making myself ready to receive the gift, and it may be in the first blossom of a peony, you know, what a wonderful flower. They don’t last very long, but when they’re there, they’re something else. And they just pop up out of nowhere. Just this little bud and all of a sudden, it’s huge, enormous, beautiful fragrance. MS. TIPPETT: You know, and when you write about the garden and again the beginning of the Christian story of Adam in the — which begins in a garden and even again thinking about Easter and Christ as the new Adam, I mean, I feel like that story is very present to you in your garden. And you often cite Armenian Apocryphal Adam Literaturethat also informs your thinking about that. I mean, that’s quite intriguing. I’d like for you to just tell me a little bit about that and how that also maybe shapes your religious understanding of what happens there. MR. GUROIAN: … in the Garden or what happened when Adam and Eve were expelled and where to hence were they expelled and how do they feel about that. And those stories can be wonderful. They’re wonderfully poetic and bring great feeling into one’s experience of the scripture themselves. MS. MOOS:[reading] “After Adam and Eve were beguiled by the serpent and ate the forbidden fruit of the Tree, God commanded his angels to remove them from the Garden and to guard the paths to it with a fiery sword. And so Adam and his wife were banished from the Garden and its light and abundant life and entered a place of darkness and gloom. They remained there in misery for six days without anything to eat and no shelter. They wept inconsolably over what they had lost and where they were sent. MR. GUROIAN: … incredible hymns that are very much like this apocryphal literature. And it’s so rich and so colorful and very unlike contemporary modern academic theology, which in my view is so dry and in many ways so impoverished because it’s impoverished of metaphor. MS. TIPPETT: Is there a passage or are there some words of Ephrem the Syrian that come to mind? MR. GUROIAN: Well, for example, the notion that paradise is still there. We don’t see it, but some of its fragrance wafts into my garden. He expresses it just that way. It’s not entirely gone, paradise. It’s — we experience it in this fallen world as well. You know, it’s kind of interesting to me when I hear, when I see you writing about the Fall. I do hear this theme coming through, I think in Jewish theology, there’s not so much the Fall as the exile from the Garden. And I also hear that sense in you that experience in your garden. MR. GUROIAN: That’s quite right. Exile, I mean, in terms of my own Armenian identity, obviously, it’s a fact that so much of our Armenia is in diaspora. MR. GUROIAN: It has been in exile one century after another for one reason or another, but in modern life, certainly, that holds true. MR. GUROIAN: And it’s probably working on me quite unconsciously. I mean, the first time I ever stepped foot in Armenia, it was next to a mystical experience. I arrived early, early in the morning as the sun was coming up. I had flown in from Moscow, and I felt as if I landed on a different planet. Maybe it was just the climate or something, but there was something else going on inside of me. I’ve never had that — quite that experience again going back to Armenia. But that first time — I don’t mean to make too much of it, collective memory or whatever it might be — but, yeah, it was like I returned home. I’d never been there. MS. TIPPETT: How old were you when you first went back? MR. GUROIAN: Forty, about 40 years old. 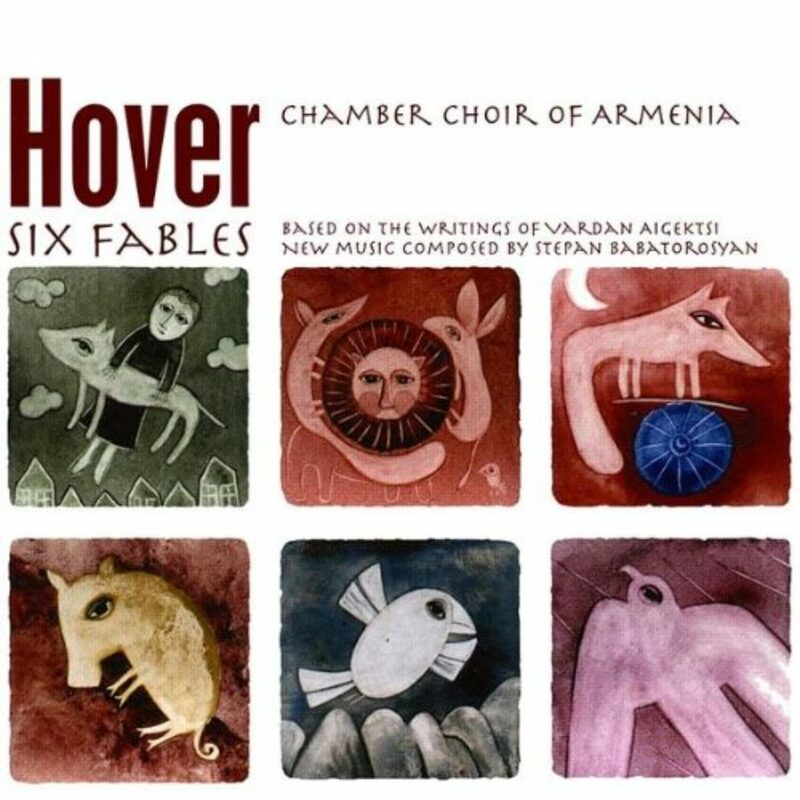 MS. TIPPETT: And as dramatically and poignantly as any group, I suppose, Armenian Orthodox Christians have lived these great themes of suffering and resurrection that are in the Easter story at this time of year. MR. GUROIAN: Well, certainly, in modern times, I mean, yes, but we can be too exclusive about claiming that for ourselves. But it, it, certainly, is true. I mean, look, I mean, there’s no question that at least a million if not a million and a half Armenians died in a matter of a few years, around the time of the First World War. And that was half the Armenians in the world. That’s incredible, you know, an enormous catastrophe. And it’s had ramifications and reverberations into the fourth generation. It’s a great wound. It’s a great wound. MS. TIPPETT: It’s a great wound. MR. GUROIAN: You grow up with it. It passed onto you. MS. TIPPETT: Right. And, OK. So here’s what I want to ask you about, I mean, how that pushes at your theology, because as when we began talking, you spoke about how, you know, the resurrection is happening now. It happens in worship, it happens in liturgy. 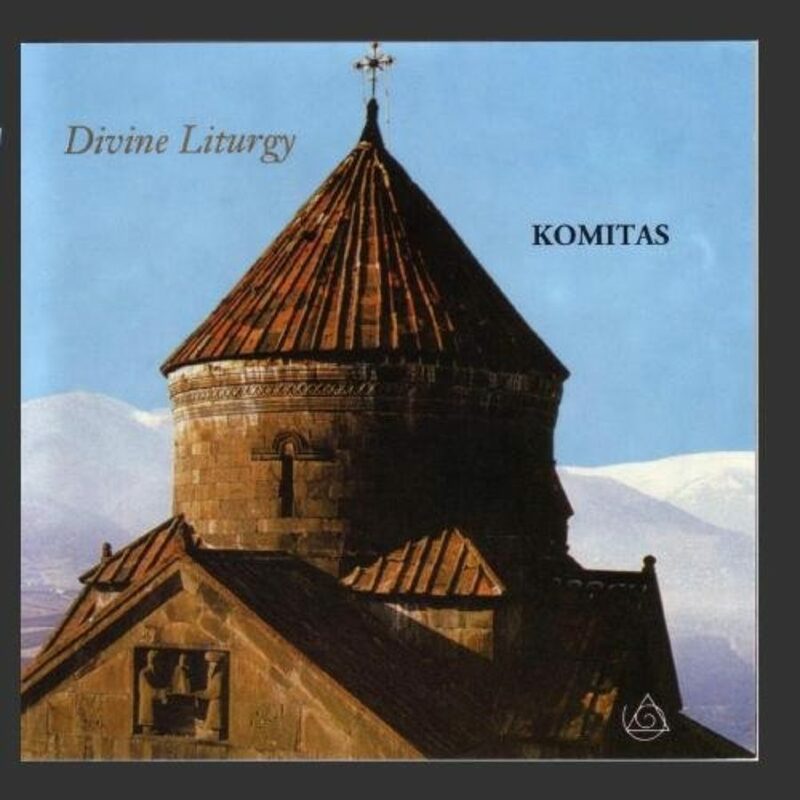 And in Orthodox liturgy, there is this sense that the church transfigures the world and yet, in Armenian experience that contrast between what happens in liturgy and what has happened in the world repeatedly is very stark. MR. GUROIAN: Yes, I suppose that is stark. MS. TIPPETT: Yeah. And I mean, so talk to me about that. MR. GUROIAN: Yes. And, and oftentimes, reflections of those who have suffered or been in exile themselves, enormous suffering and lengthy exile and removal from that place which is inside of them and which they wish to return to. So there’s nothing highly exclusive about this. But I do think in the case of Armenians, they have a treasury of poetry, and really, the theology of my church is in its hymns. Those who would read those hymns that are not familiar with the tradition, would say, “Really, is that a hymn?” It’s because it’s so rich, not only in metaphor, but deep, theologically these hymns. And they can go on for a long time. MS. TIPPETT: And I, I want to press you because I think, you know, here is something you’ve written as a theologian about the Easter events that, you know, that you see that history and nature are shot through with God’s purpose and grace. MR. GUROIAN: Well, you can build a garden most anywhere. MR. GUROIAN: I mean, you know, you go to the Middle East, not just Armenia. But certainly, in Armenia. You go even into Yerevan, in the back of these horrendous apartment houses, there’ll be a little plot with a, and inevitably, you’ll have a grape arbor, and you’ll have some fruit trees. If I remember the church, I also remember the gardens of my great-aunts and uncles and of people I called uncle or aunt who weren’t uncle or aunt, but they were Armenian that, whose homes they visited. And in every case, they wanted to show you the garden. I mean, that’s, that was obligatory. You might go inside and be greeted. But then, you go right outside and go into the garden. And I can remember this over and over again. Now, why were they building these gardens? Was it just simply because they, they wanted fresh fruit? I, I don’t think so, ultimately. But I was too young to ask those survivors — and these, many of these were the survivors of the genocide — why they were doing this? MS. TIPPETT: And what is your answer to that question now? MR. GUROIAN: I, you know, I have my suspicions. I think that they were, in part, bringing part of the old country over with them. There, there were memories of the garden that they had. I think that, also, that the garden was a place where things came to life, you know? It was in point of fact a reaffirmation of life and, and something to sustain faith, hope and to go on living. MS. TIPPETT: And is the answer to that question about how history and nature seem shot through with God’s purpose and grace is that, that is constantly recreated in the midst of and despite and after these experiences of devastation. MR. GUROIAN: Well, remember the story I told about one particular priest who led his people out of the, the men out of the village, and they had no bread or wine, certainly. And so they were going to hold the Eucharistic commemoration, and they ate the dirt. I mean, from earth to earth, and he said, this cursed earth, but it is, you know, but it’s blessed. That can be blessed. That curse can turn to a blessing. These men were being — probably going to die, either marched to death or shot. MR. GUROIAN: But they were going to stop and do this with this priest. The resurrection is alive in the faith of those who are with us presently and have been in the past, which is to say that it’s all very present. MR. GUROIAN: I found in the woods in Maryland a wildflower, the bloodroot flower. It blooms very early in the spring, around the time of Lent and Easter, depending on when Easter falls. I found a grove of these in a wooded area not far from my home in Reisterstown, Maryland. And I, and I transplanted them by an oak tree in a partially shaded part of my yard. And my experience of the first blooming, I really quite never forget. The reason why it’s called the bloodroot is because the root itself, if you press it, you break it, you’ll get a red dye that can be used as a dye. But the bloom itself only lasts a day. But it comes out of the sepulcher of the earth. And what it leaves is these heart-shaped leaves. And that is a microcosm of resurrection for me. I have a wild imagination. You know, I mean, I’ve described the stakes in my vegetable garden in the wintertime as crosses on which bodies are draped, you know. I don’t mean that in a gory sense. The geese in the sky remind me of the crosses that pilgrims have carved into ancient Christian sites. I think there are signs of the cross all over creation. How do you account for that? Well, clearly, we’ve forgotten, we’ve forgotten paradise, we forget God. And that’s why I think we have scripture to remind us. MS. TIPPETT: OK. And, and you mean the scripture that is written down and the scripture in nature as you’re describing it. MR. GUROIAN: Yes. Absolutely. As again, I think that we cannot do without one or the — look, we have to live somewhere, and that’s the world that we live in, and the Creator has imprinted himself in so many ways into that world so that we do remember. And then, then the world, again, can be an epiphany for us. MS. TIPPETT: Vigen Guroian is Professor of Religious Studies in Orthodox Christianity at the University of Virginia. His books include The Fragrance of God and Inheriting Paradise. In closing, here’s a passage from that work. MS. KATE MOOS: [reading] “Several summers ago, my children found two turtles and put them in the vegetable garden. During a thaw the next February, as I was digging up the soggy soil where the peas go, I lifted a heavy mound with my shovel, and then another. The two turtles had burrowed down for winter sleep, and I had rudely awakened them too soon. So I carried them to a corner of the garden where I would not disturb them and dug them in again. When my wife said that she feared the turtles might be dead, I said I did not think so (though I wasn’t as sure as I sounded). I insisted that in spring, they would come up. And they did in Easter week. MS. TIPPETT: As we were finishing this week’s show, we heard from Vigen Guroian that he’s just built a new grape arbor in his garden, with the help of some students. He says he is thrilled to be growing grapes again, after more than 20 years — this holds rich reminders of his childhood. And he notes that it’s somehow appropriate that this was built in the season of Lent — which is still underway, as we go to air, for Eastern Orthodox Christians. He writes, “We gave physical expression in a most concrete way to what Lent is about — preparation for the fruit-bearing tree of life and the bunch of grapes that was pressed on it for our sake.” Already, he says, his Concord grape vines are budding. This program is produced by Chris Heagle, Nancy Rosenbaum, and Susan Leem, with help this week from Zack Rose. Anne Breckbill is our Web developer. Trent Gilliss is our senior editor. And I’m Krista Tippett. Ms. Tippett: Next time — poet Christian Wiman on learning to talk about God again. MR. CHRISTIAN WIMAN: I really feel that a whole new language is being created and there’s too many people who are struggling with this. Traditional religious language is part of it and will be part of it, but a whole new thing is being created. MS. TIPPETT: Please join us.